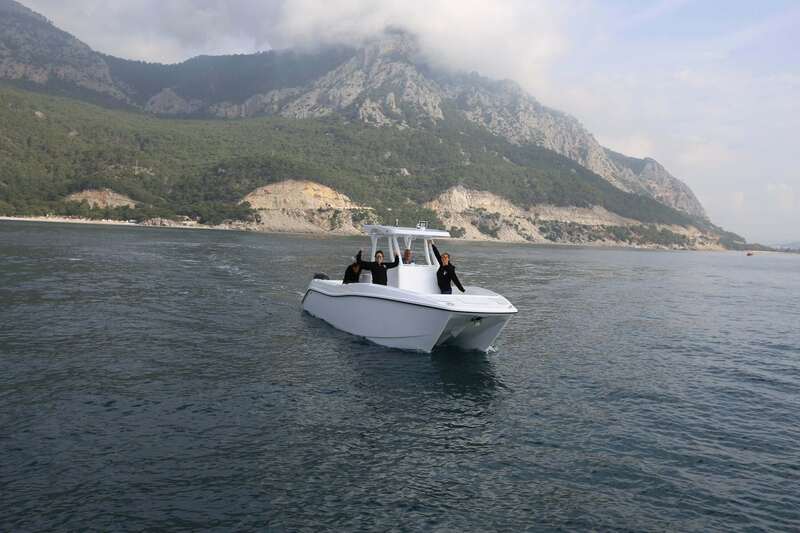 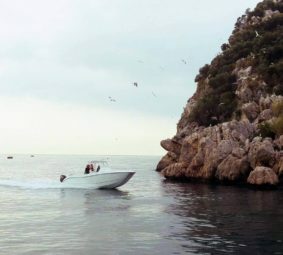 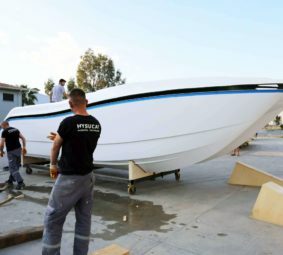 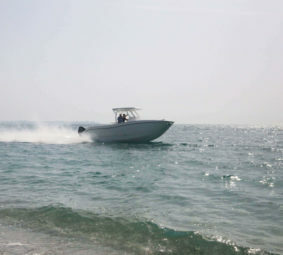 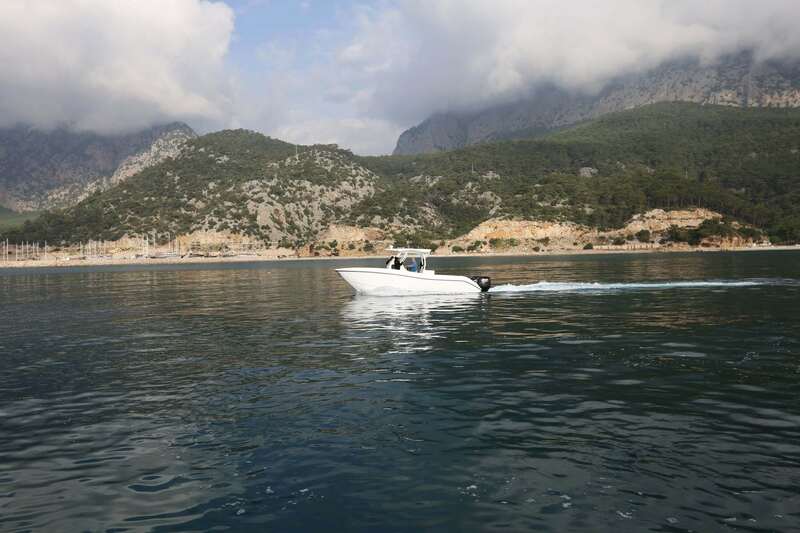 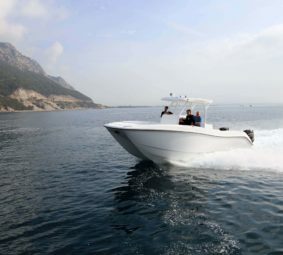 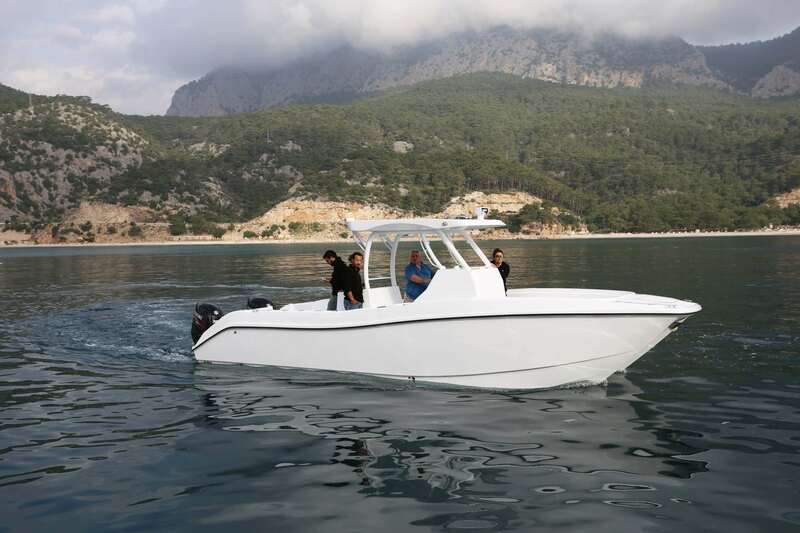 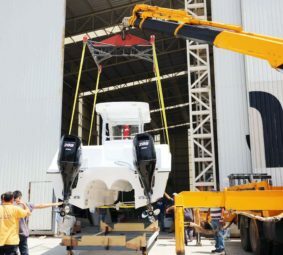 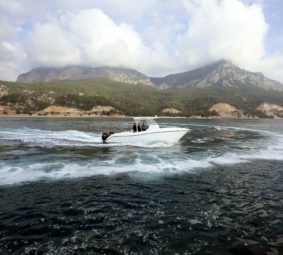 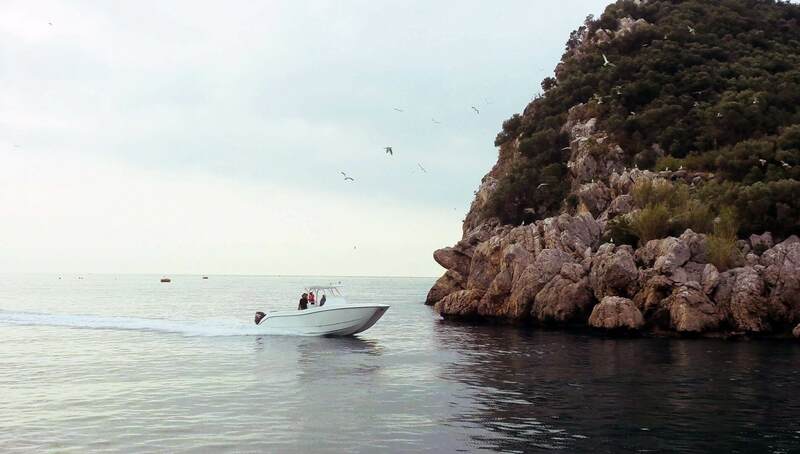 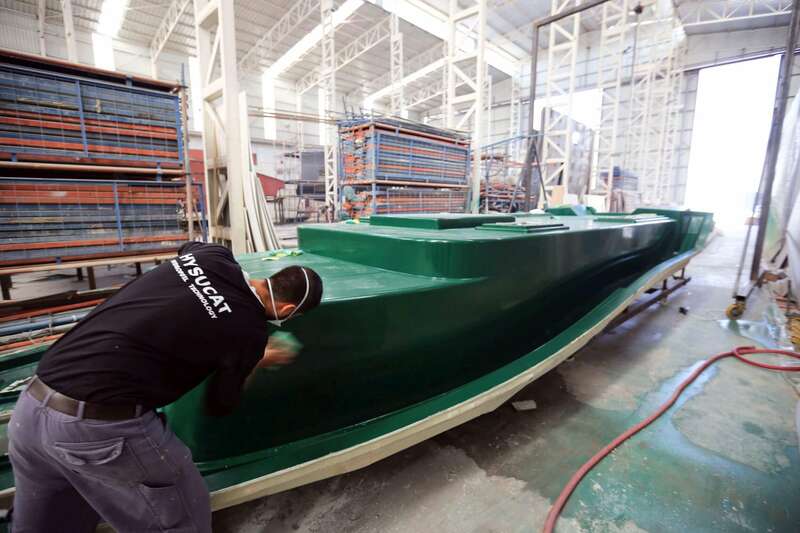 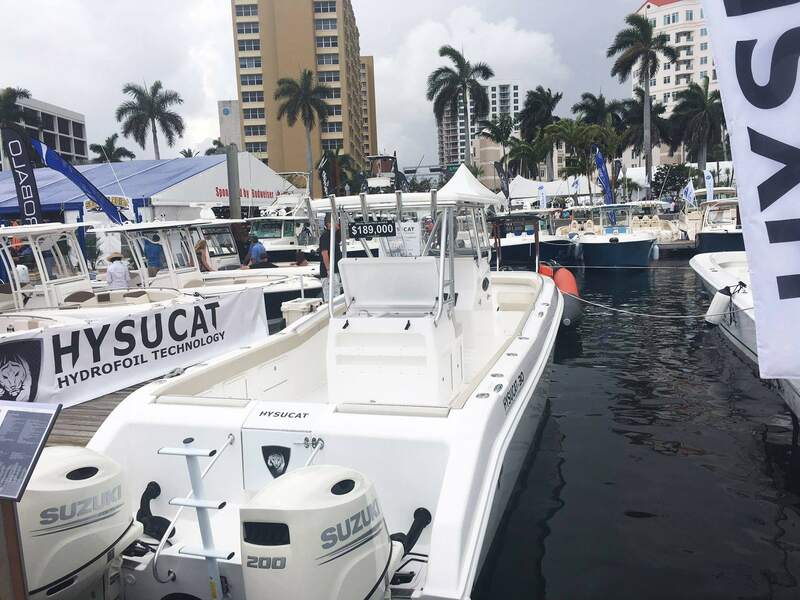 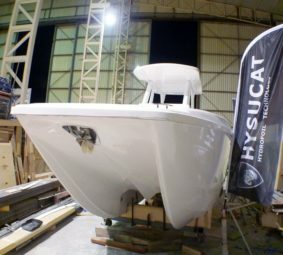 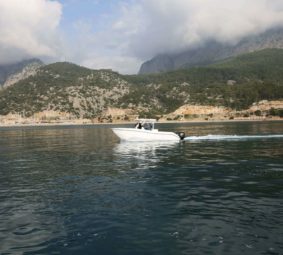 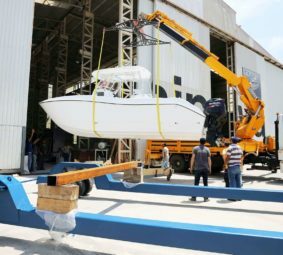 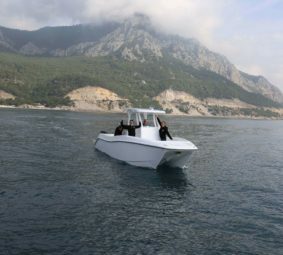 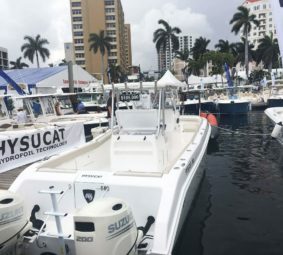 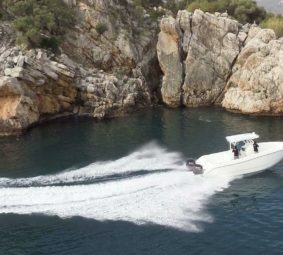 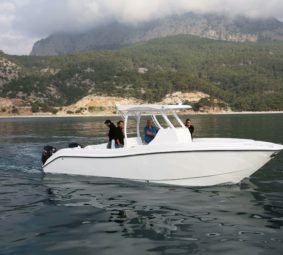 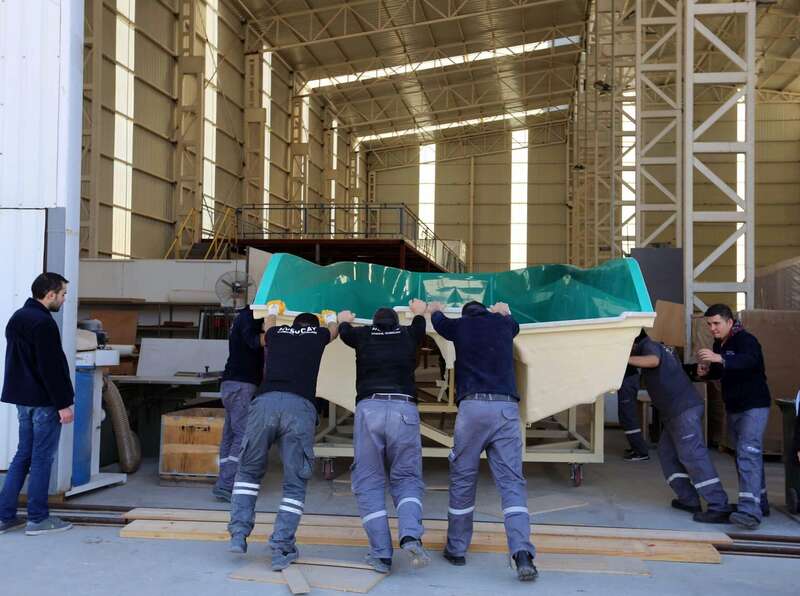 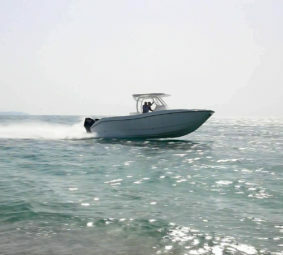 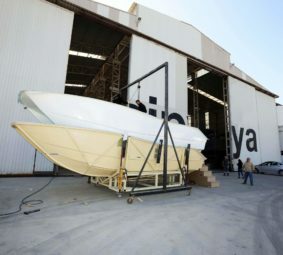 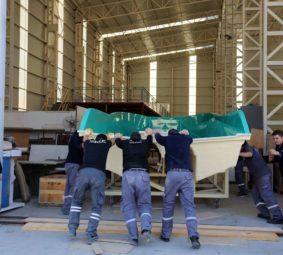 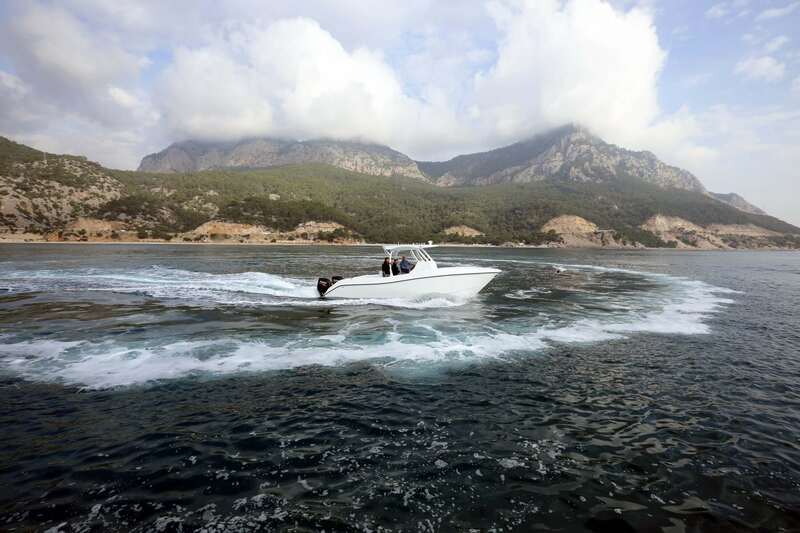 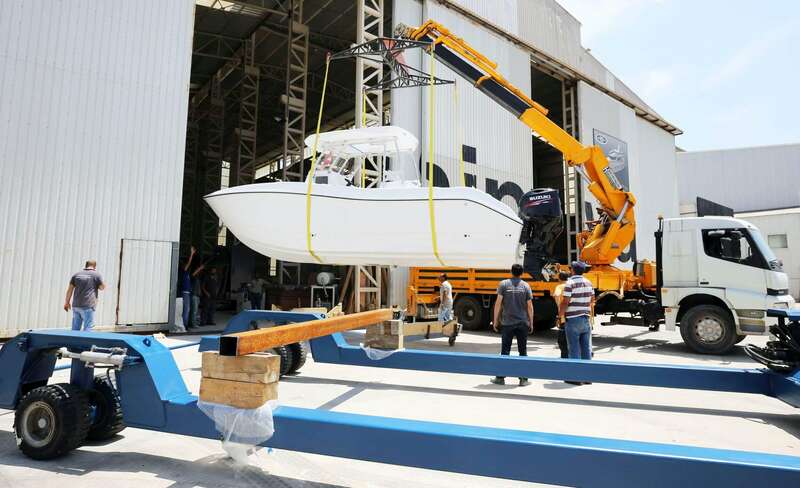 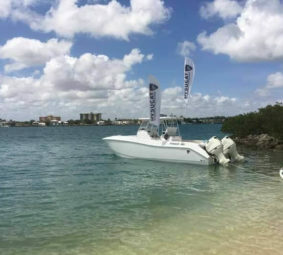 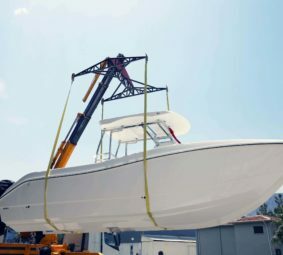 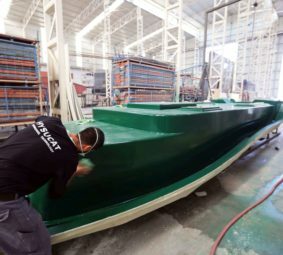 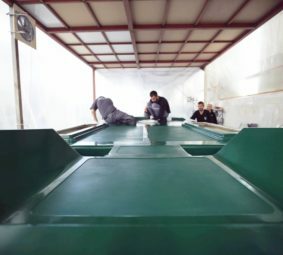 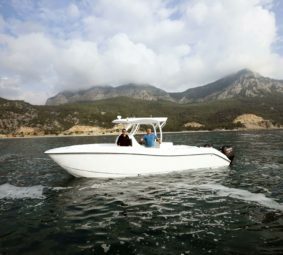 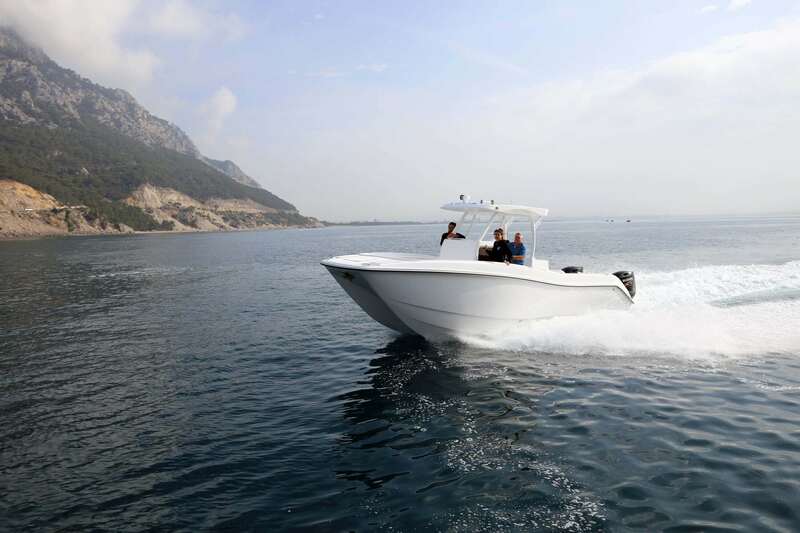 Hysucat has put 25 years of boat-building experience into the design and construction of the Hysucat 30 CC Sport Fisher. 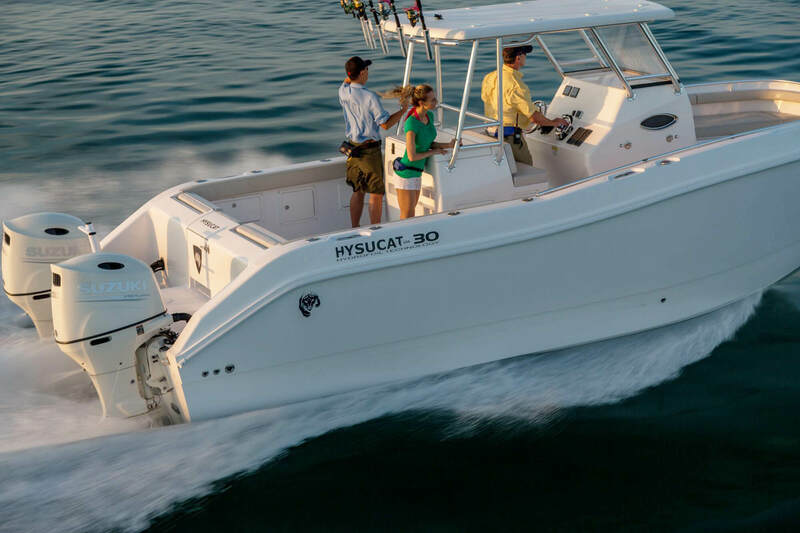 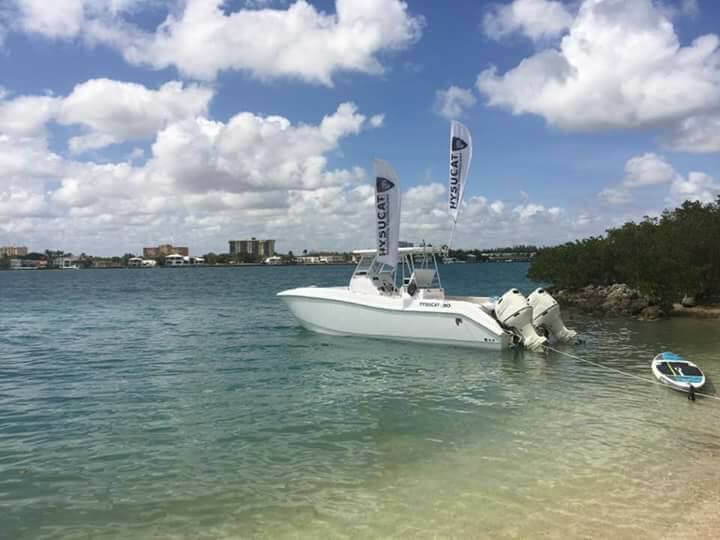 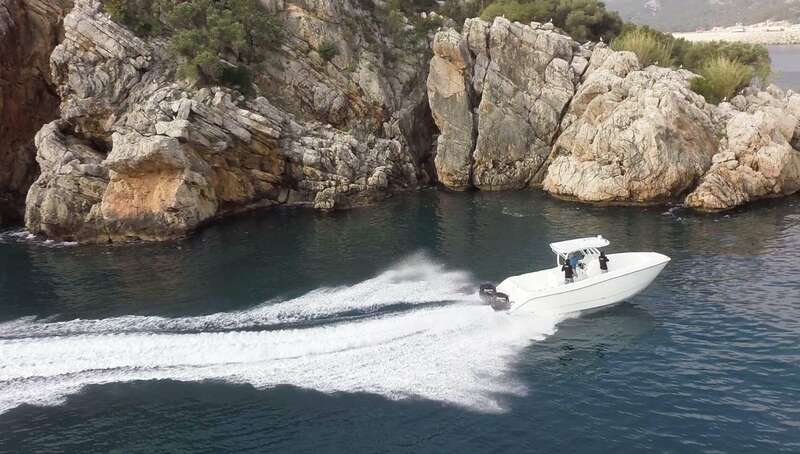 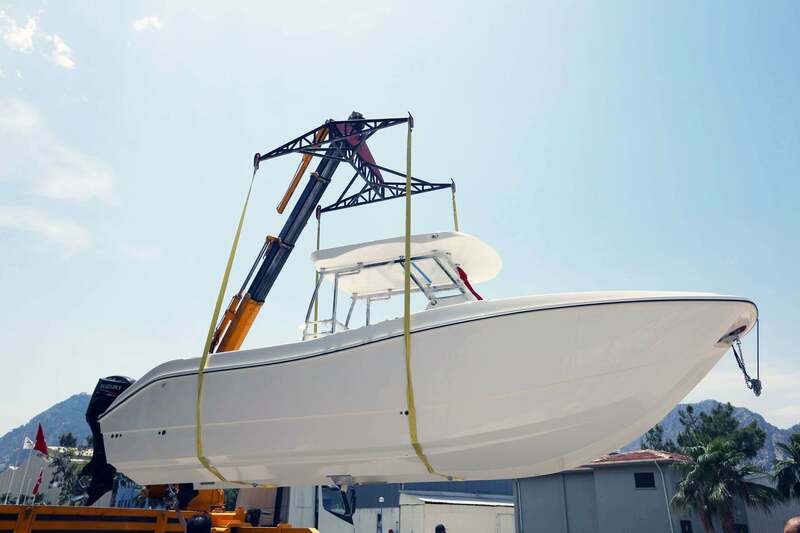 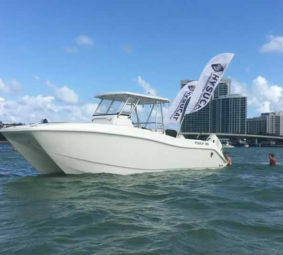 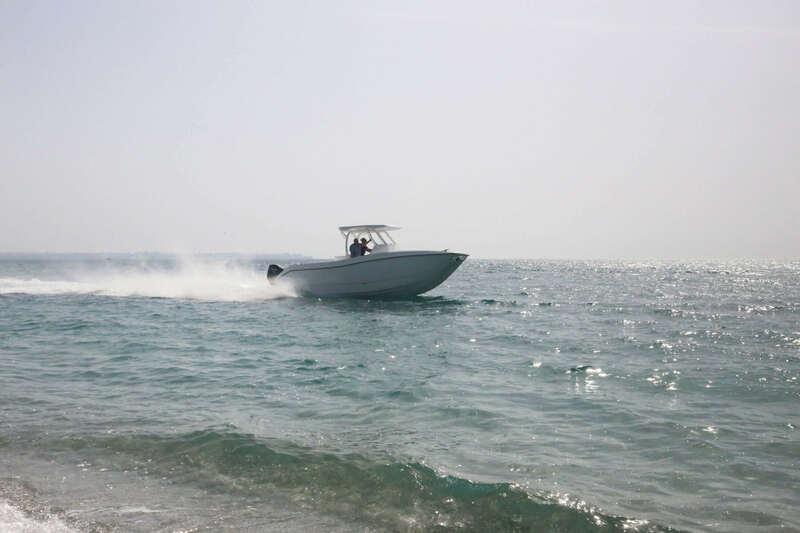 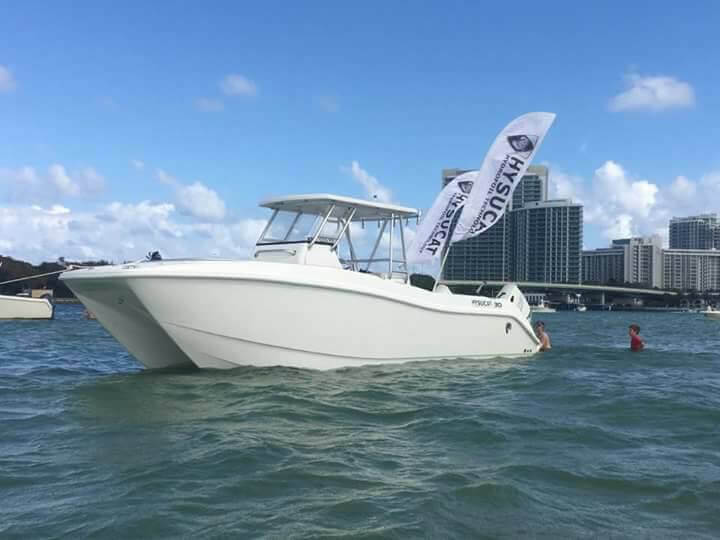 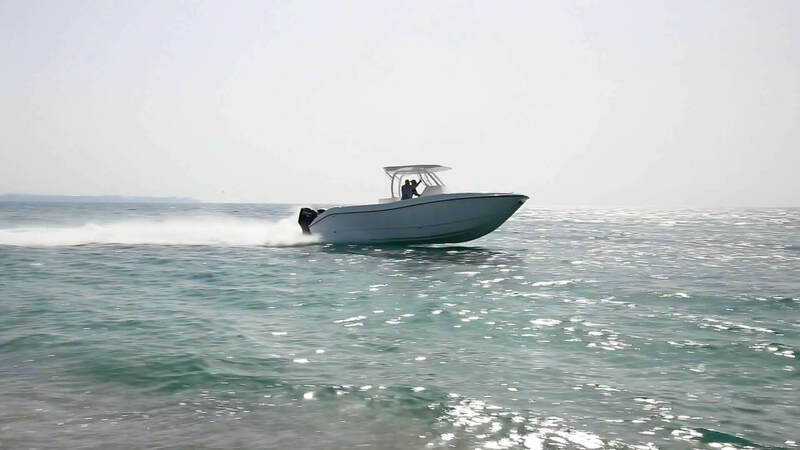 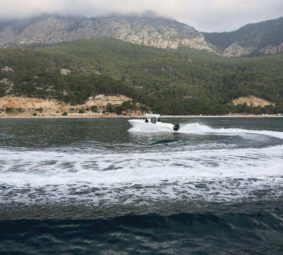 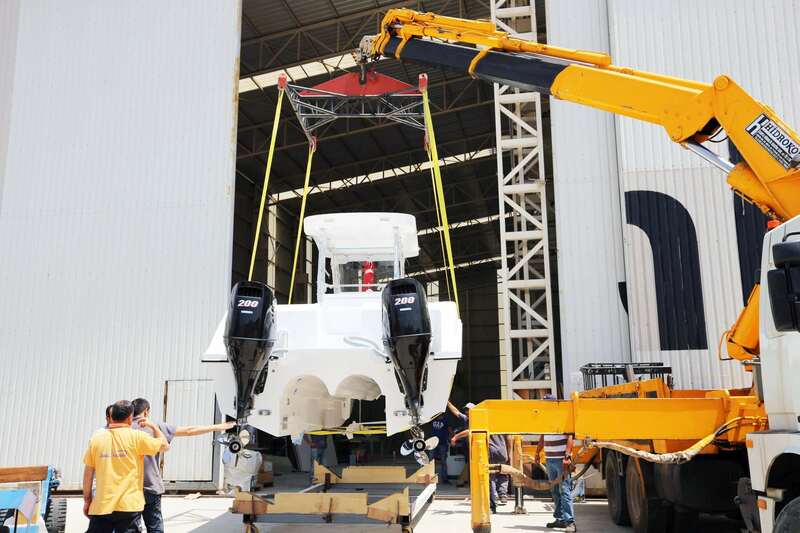 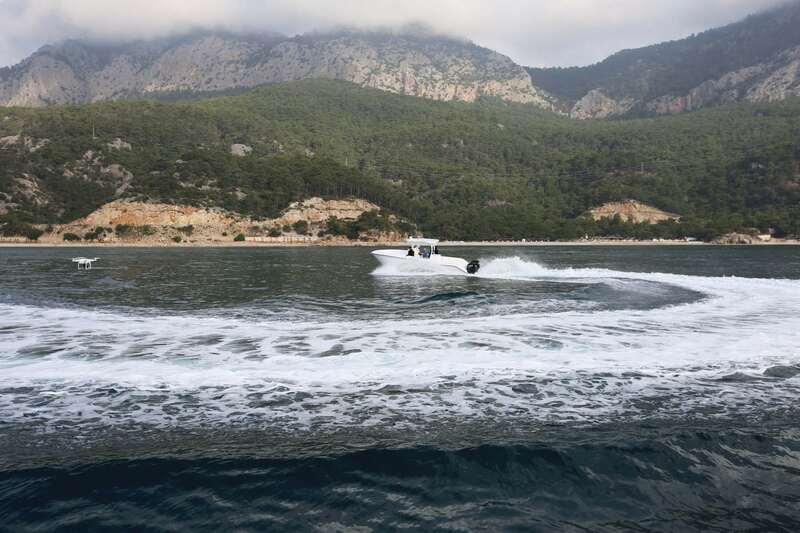 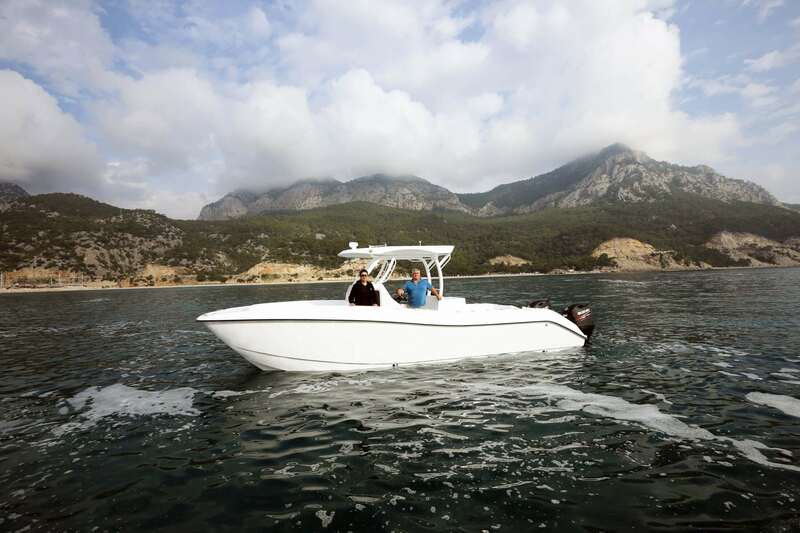 The brand new Hysucat 30 Center Console Sport Fisher offers the best features of a monohull and a catamaran combined yet made superior thanks to innovative hydrofoil technology. 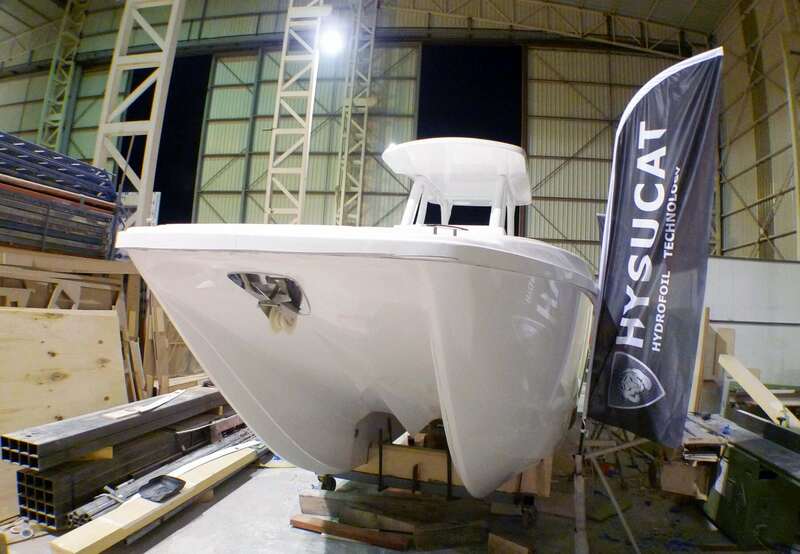 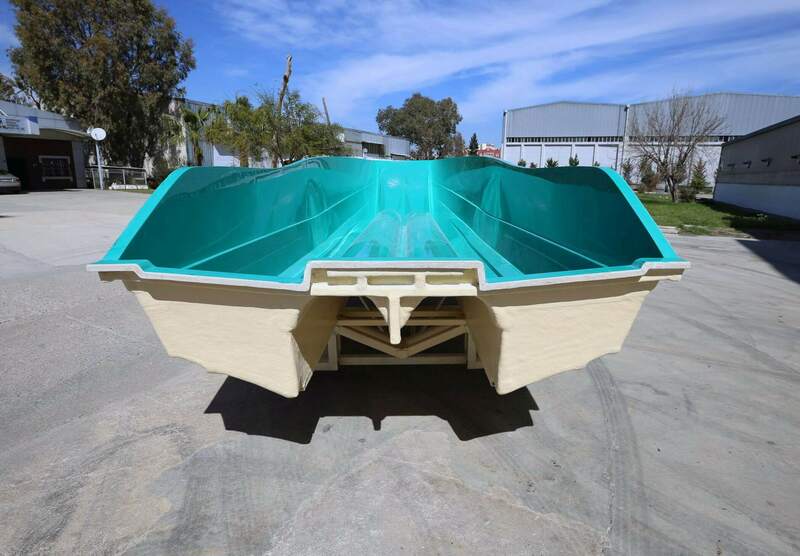 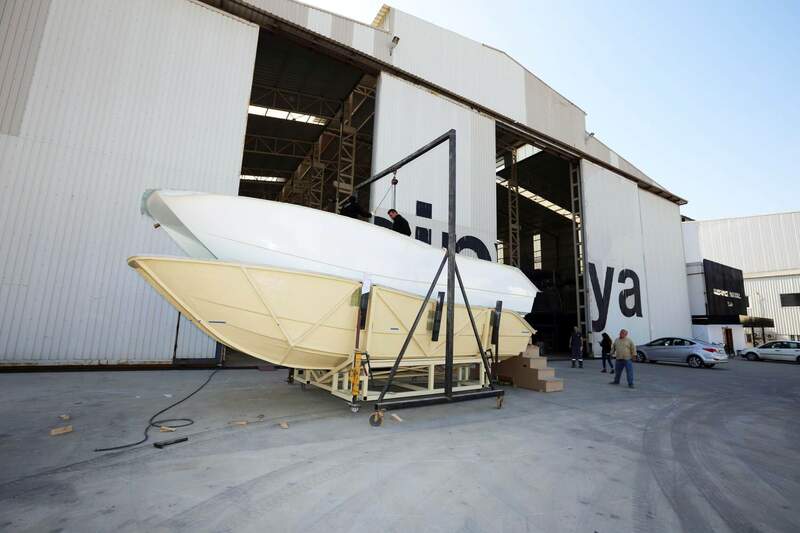 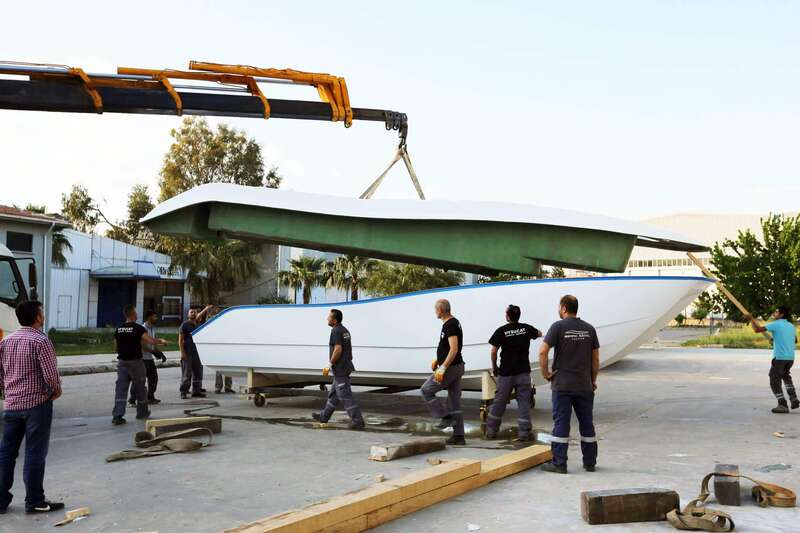 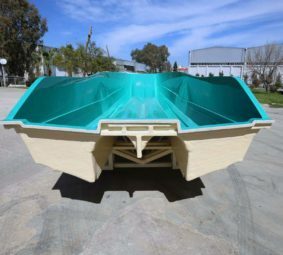 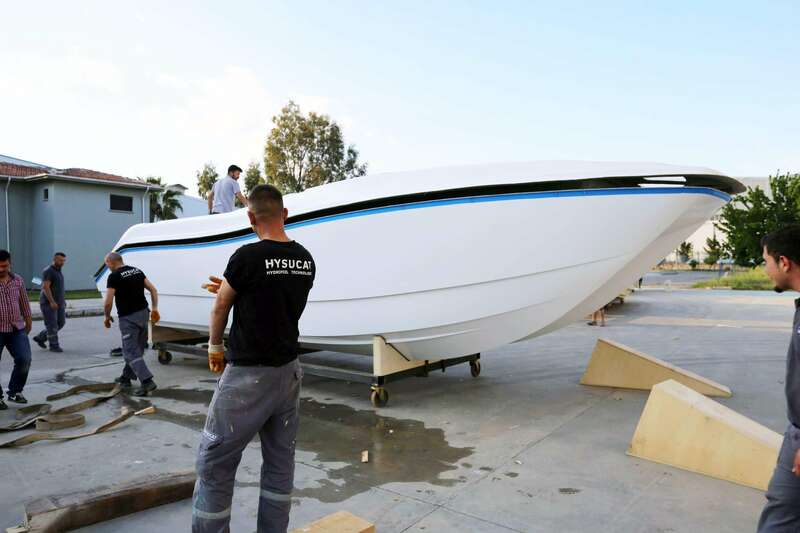 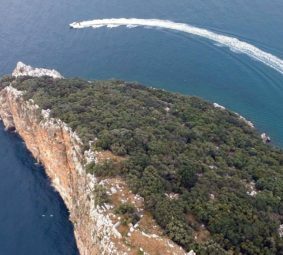 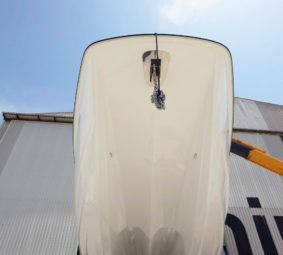 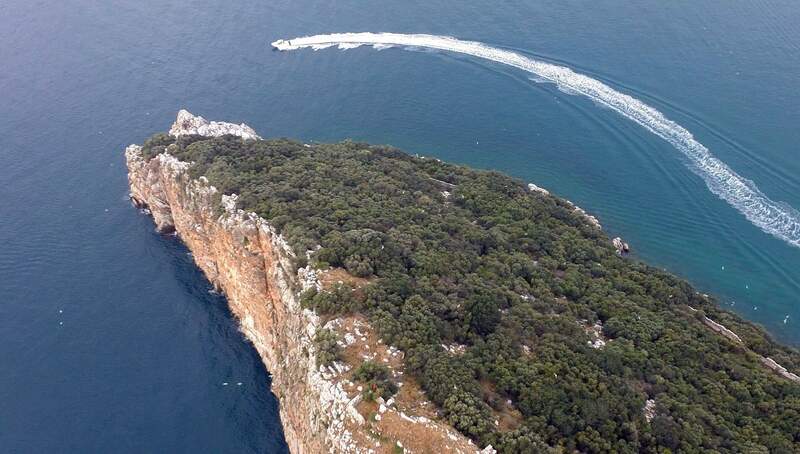 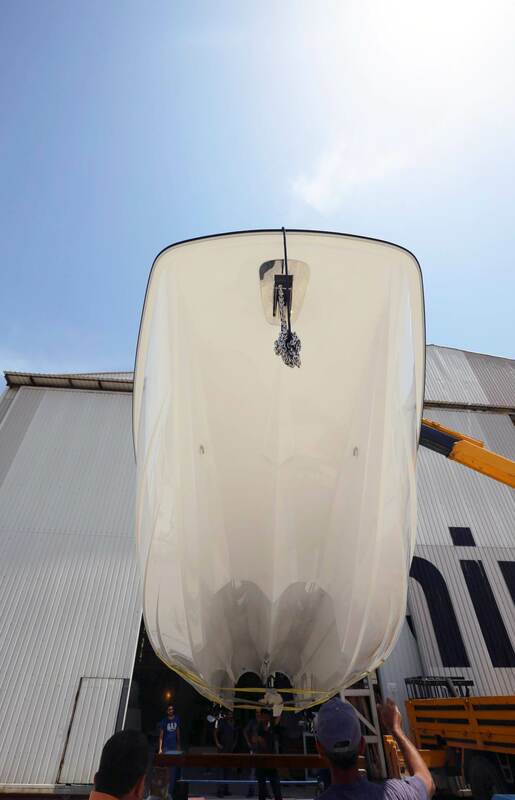 Designed by renowned hydrofoil specialist Malan Conradie, the Hysucat patented, high-performance asymmetric catamaran is capable of delivering higher speed with less horsepower, a soft, comfortable, stable ride in waves or swells, and efficient, reduced fuel consumption. 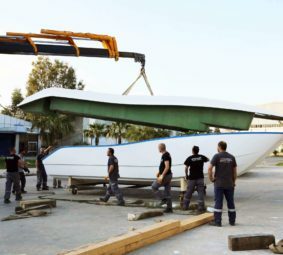 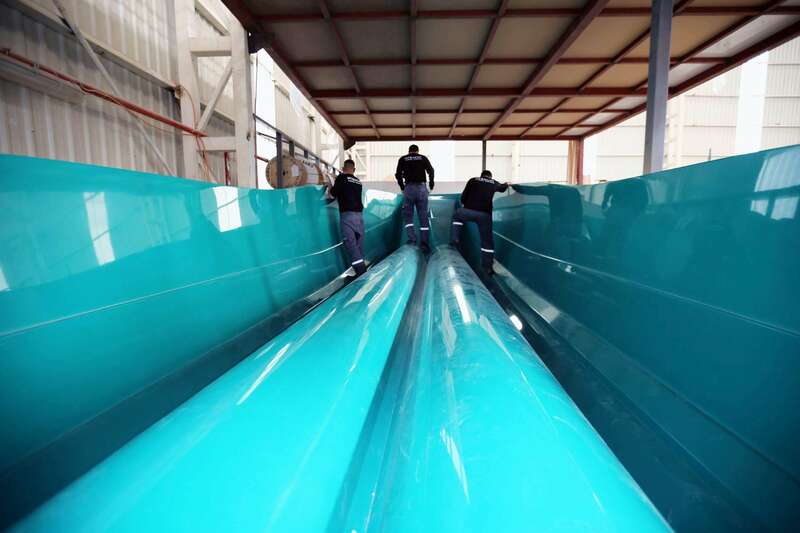 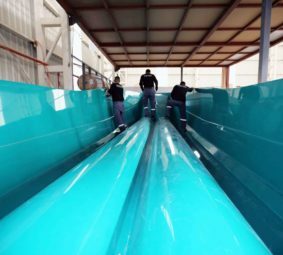 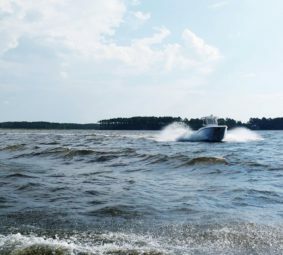 The layout creates an air tunnel under the hull, providing a better ride and increased speed. 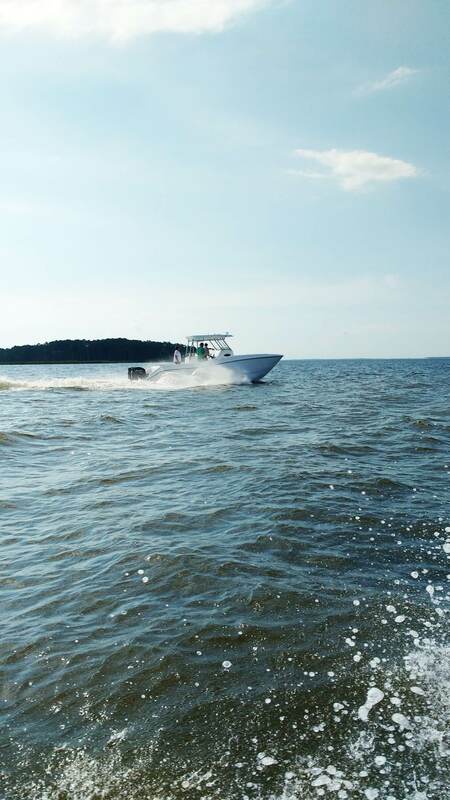 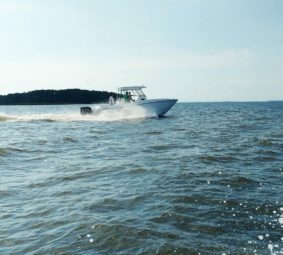 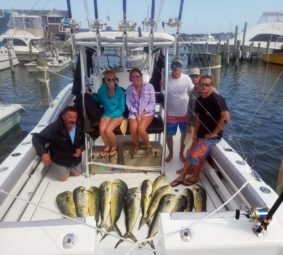 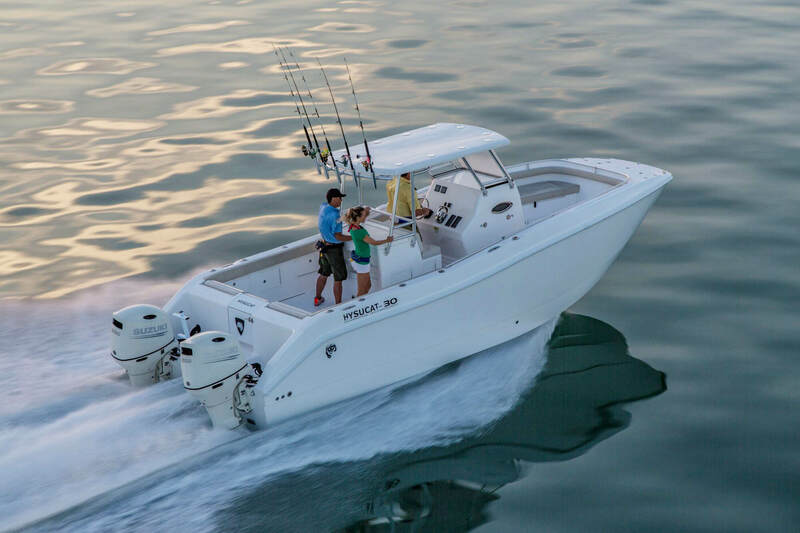 This center-console’s 9-foot, 6-inch beam offers an extraordinary amount of fishing space, while the unsinkable design offers boating anglers great peace of mind. 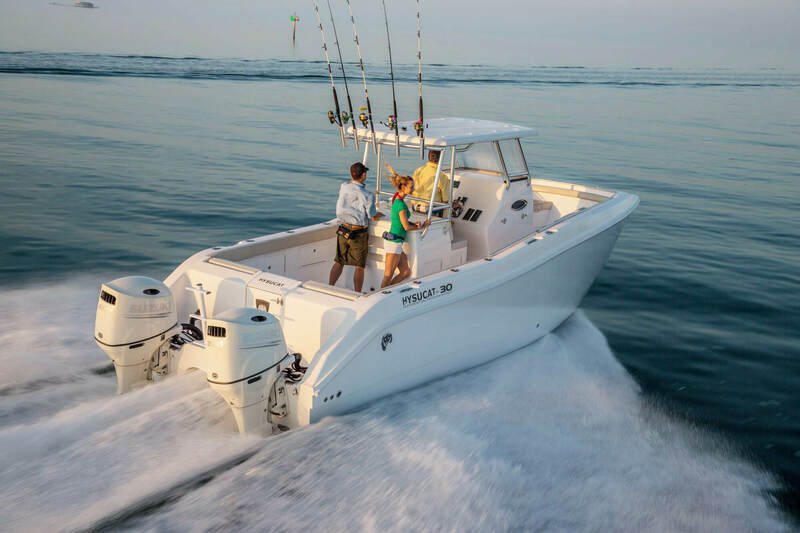 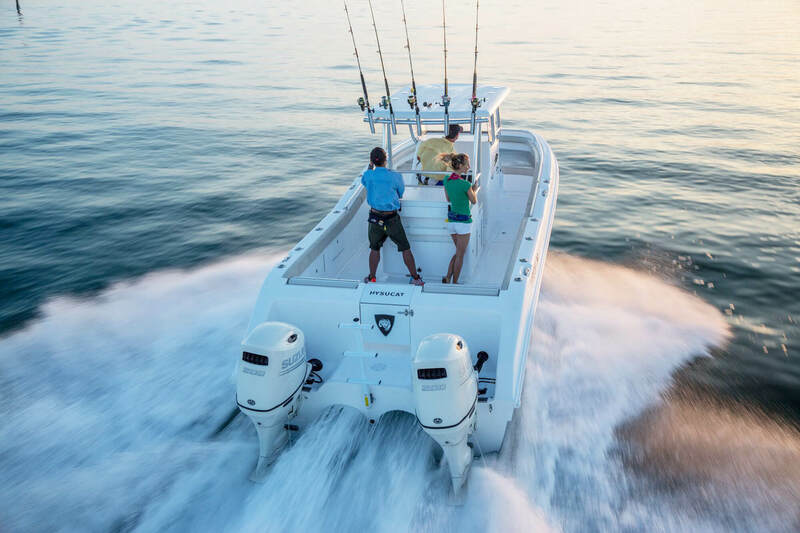 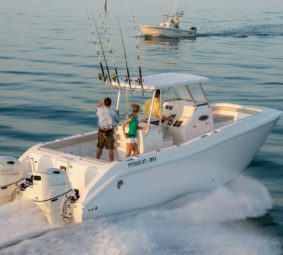 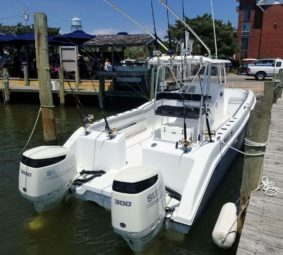 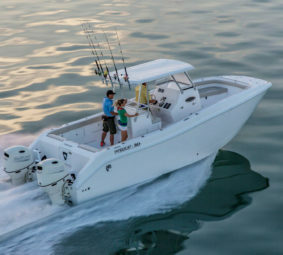 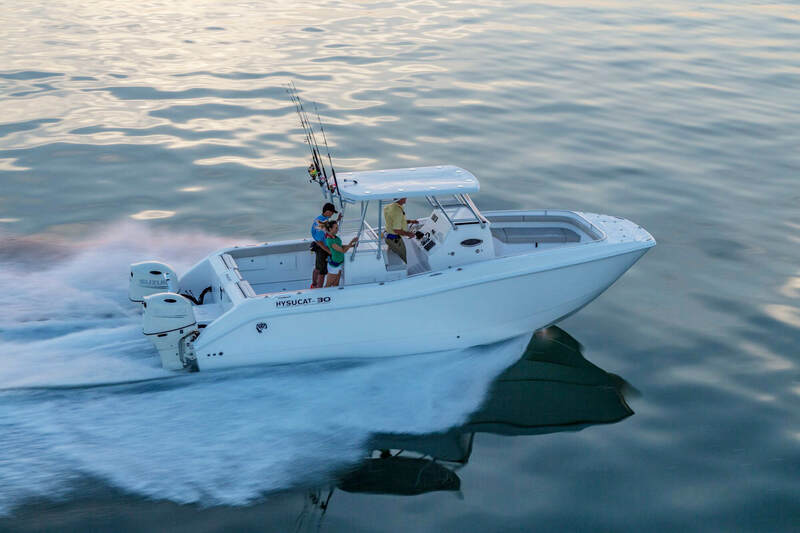 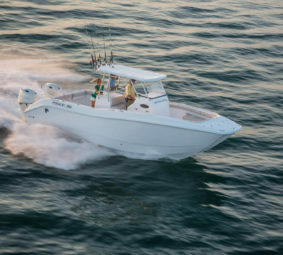 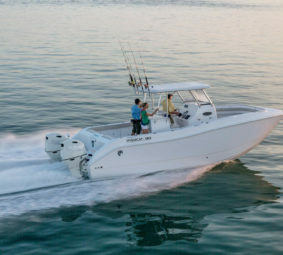 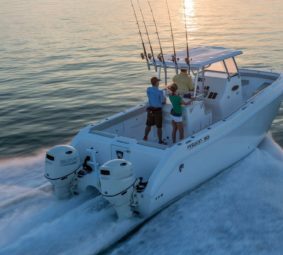 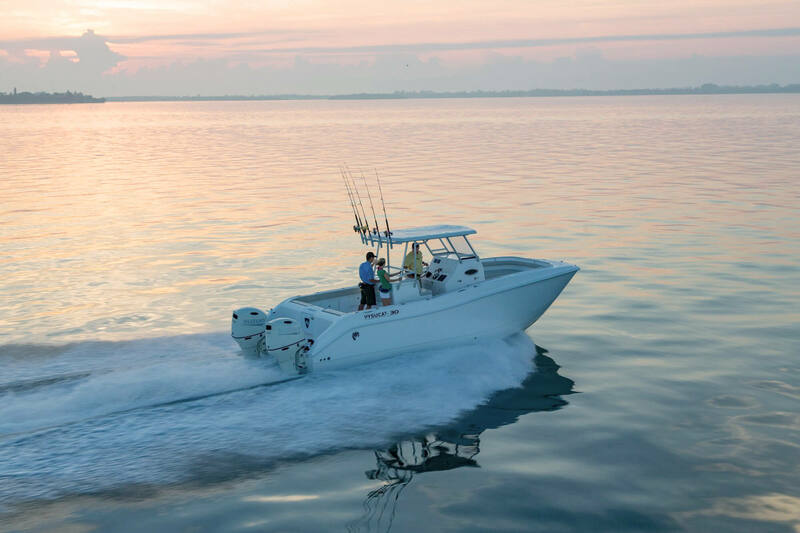 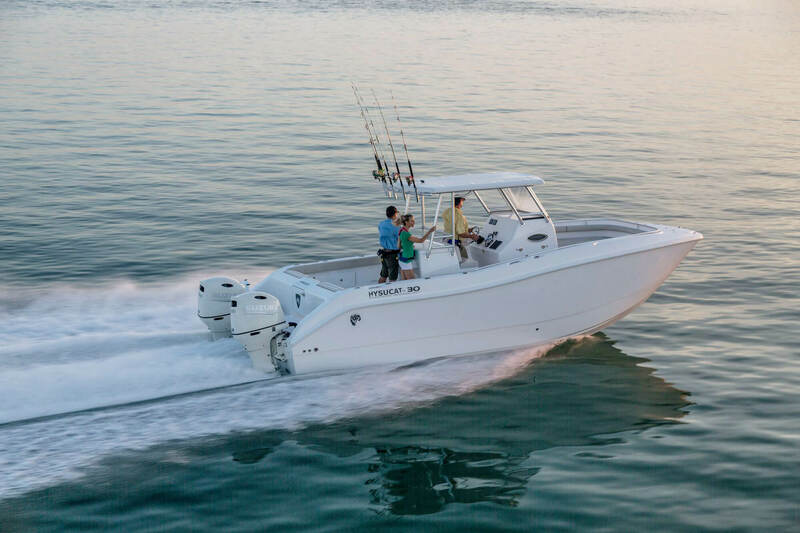 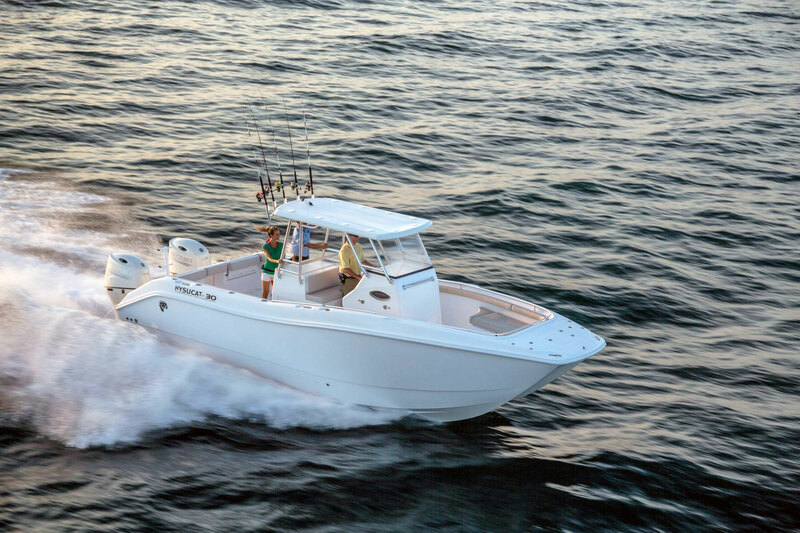 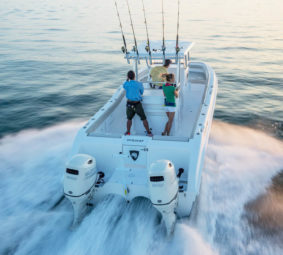 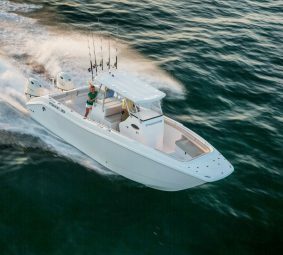 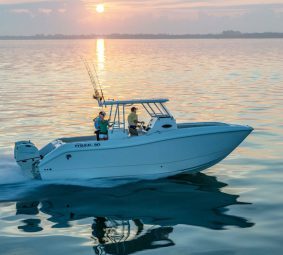 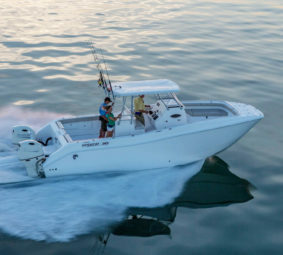 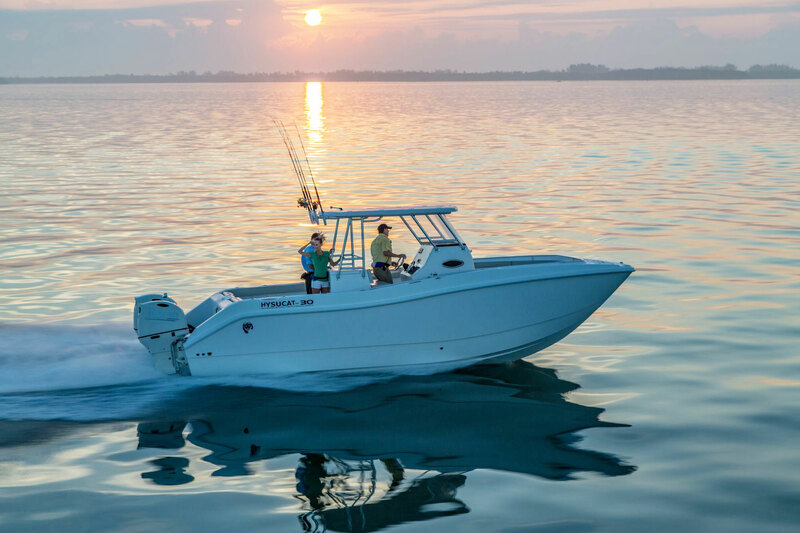 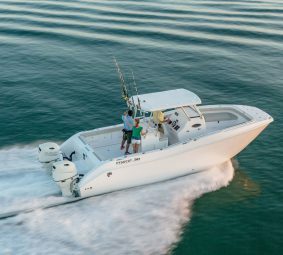 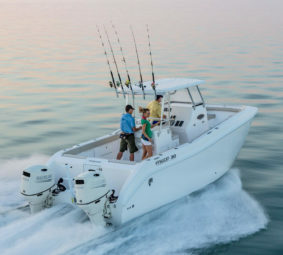 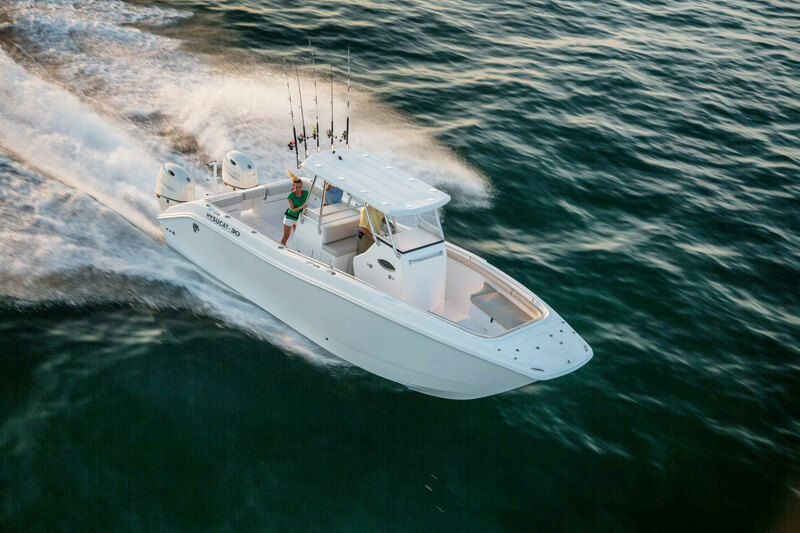 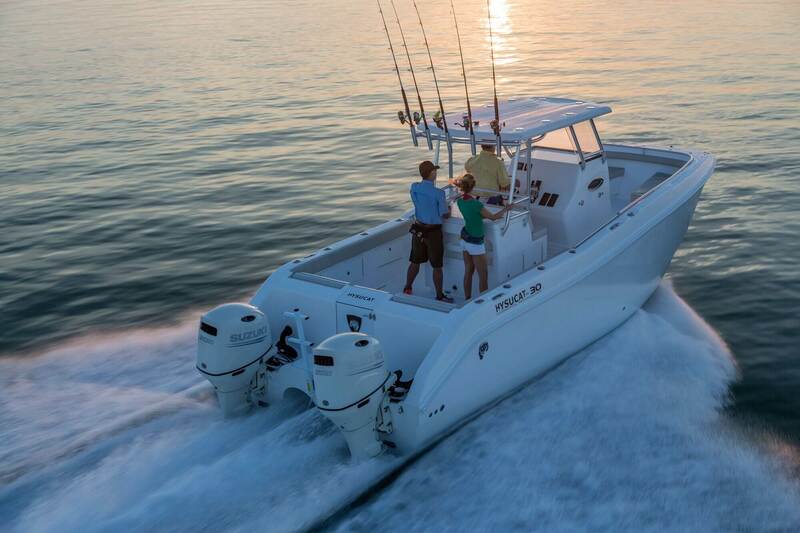 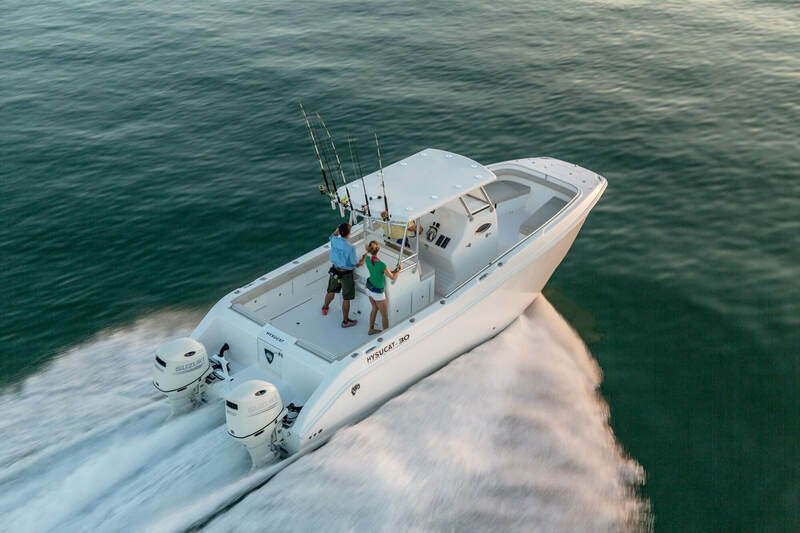 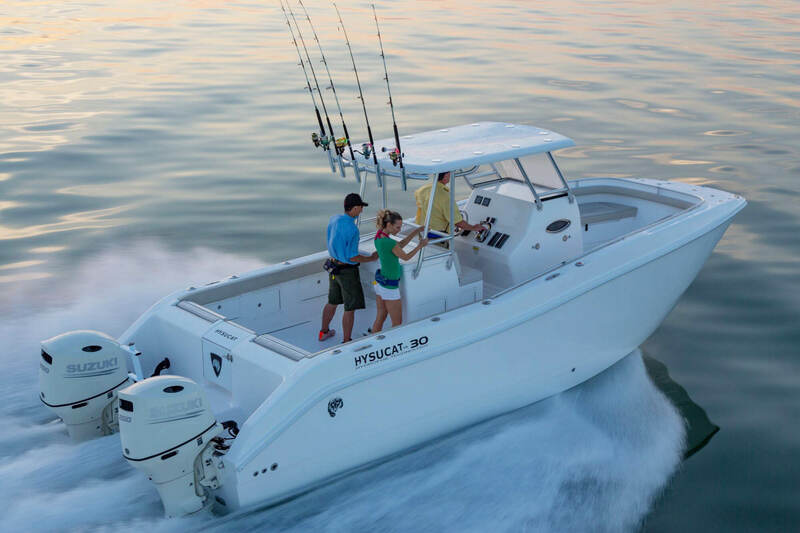 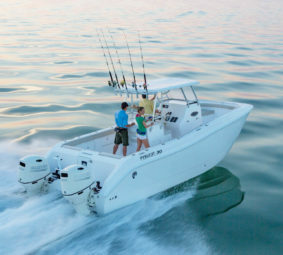 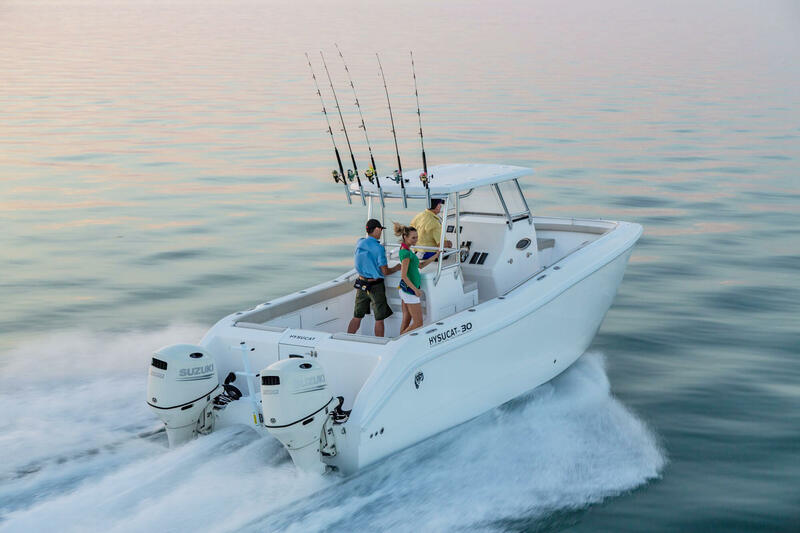 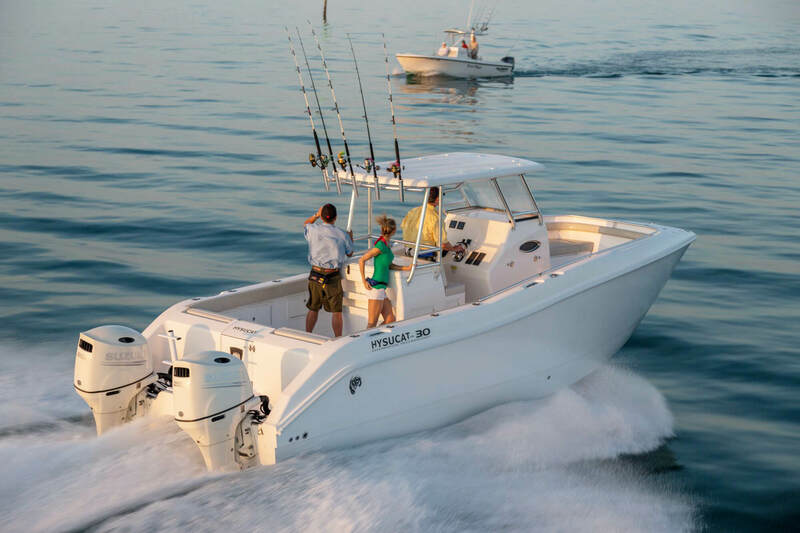 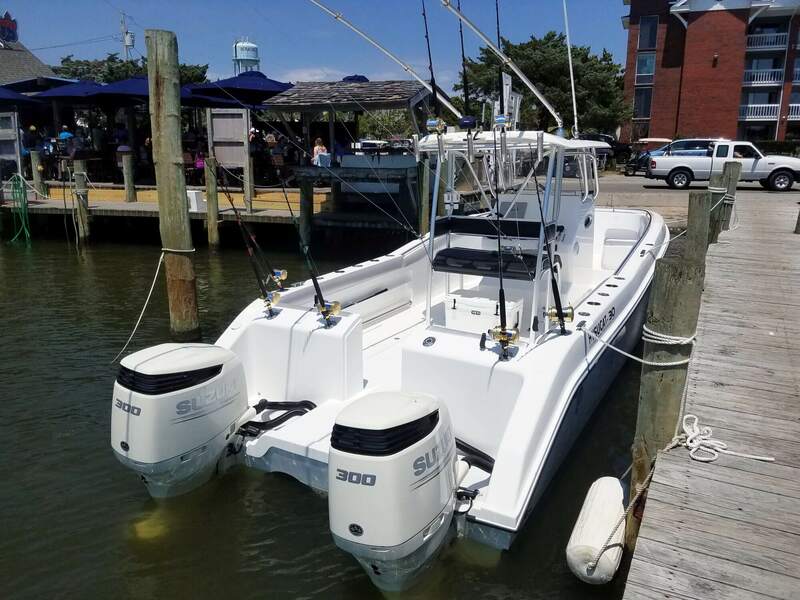 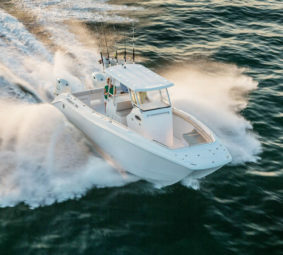 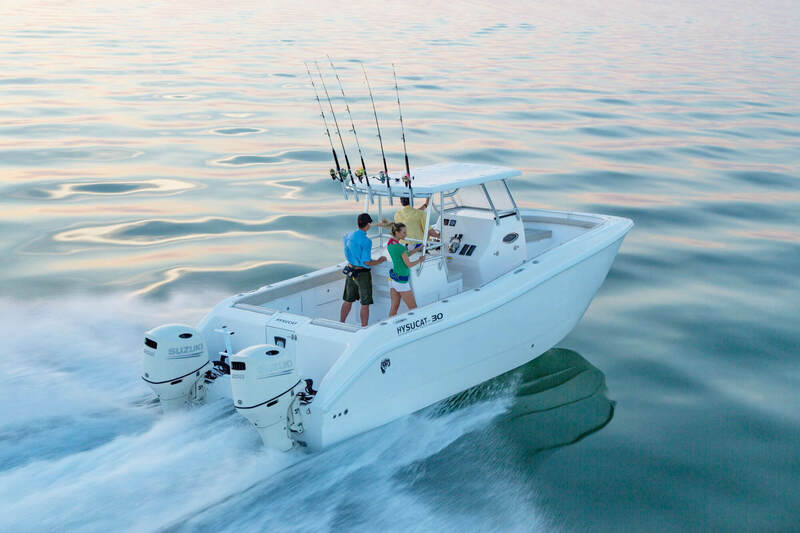 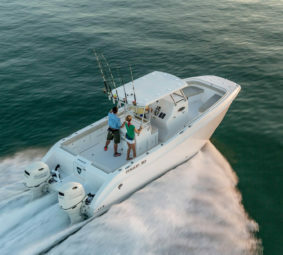 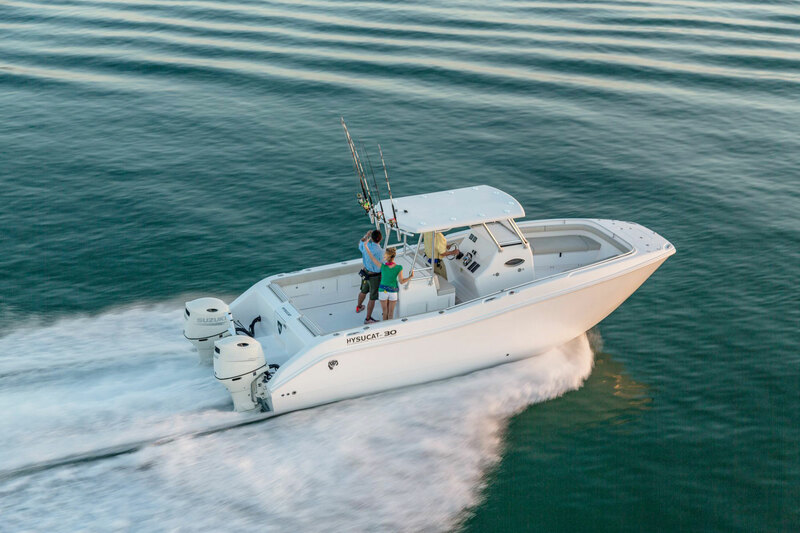 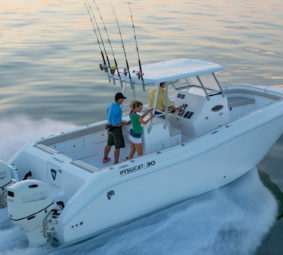 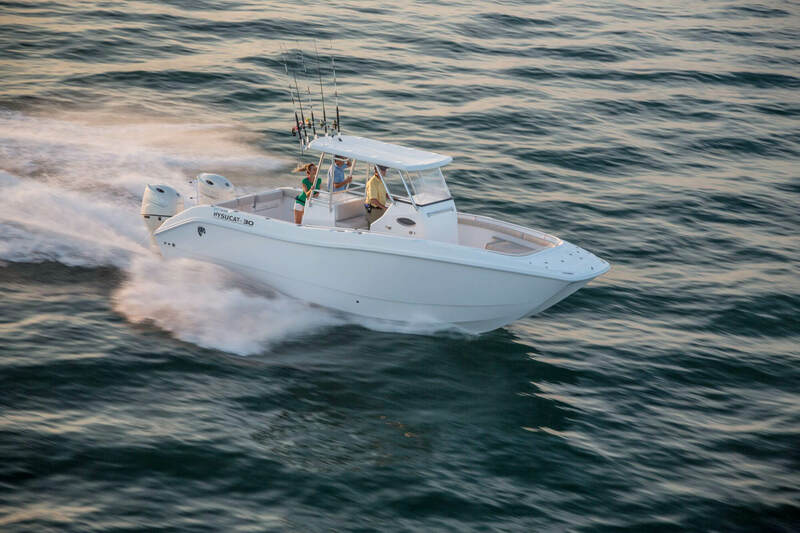 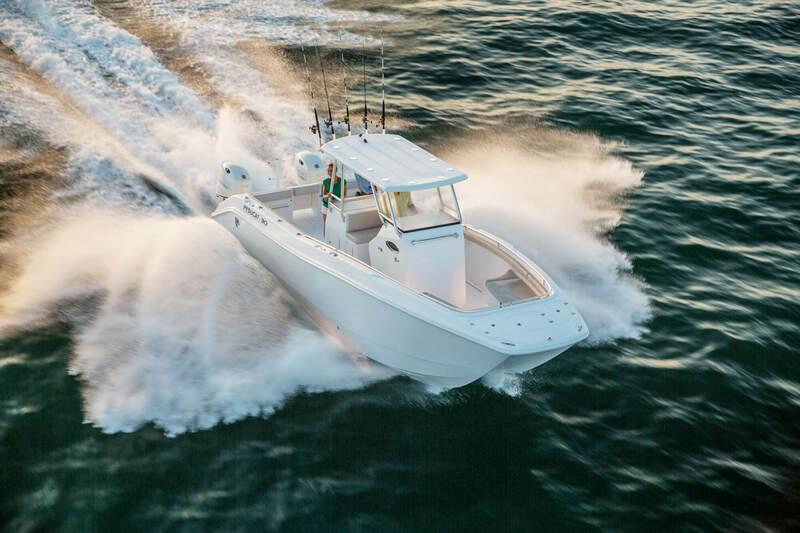 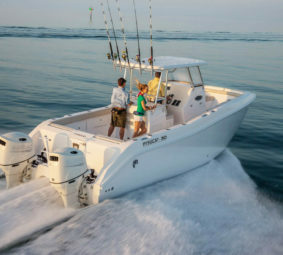 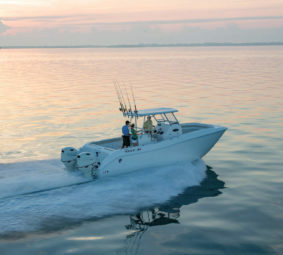 Loaded with standard features, the Hysucat 30 Center Console combines hard-core fishing essentials with luxury and comfort. 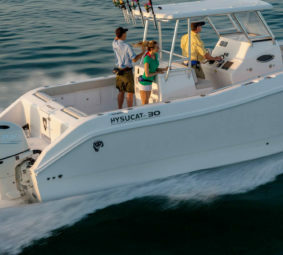 Wrap-around bow seating with optional chaise lounge and removable table are great for a family day on the water. 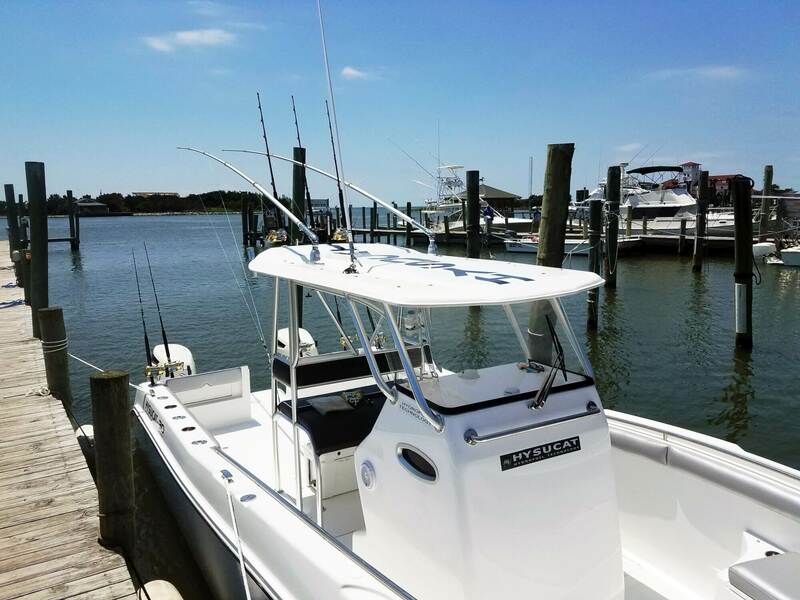 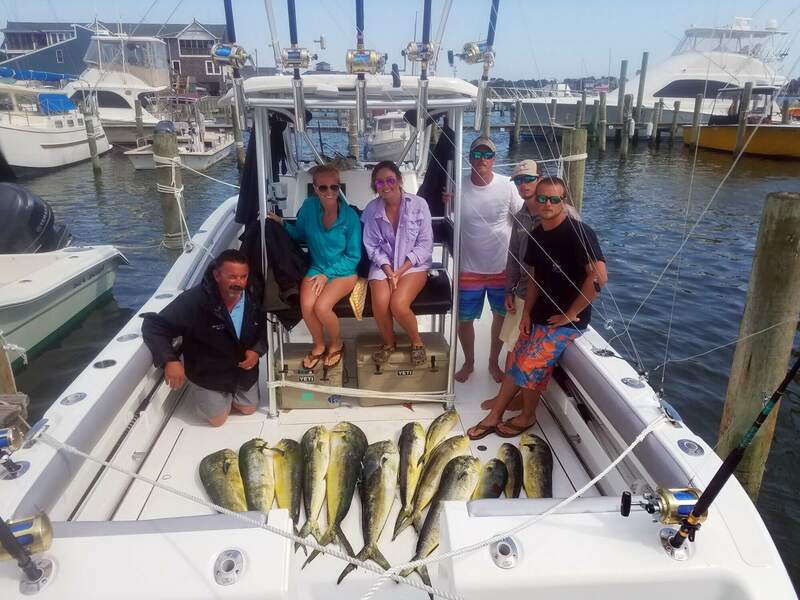 Anglers will appreciate the standard fiberglass lean post, deluxe tackle center, rod holders, footrest and flip-up bolster chairs. 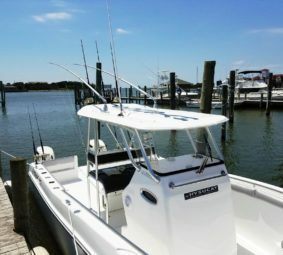 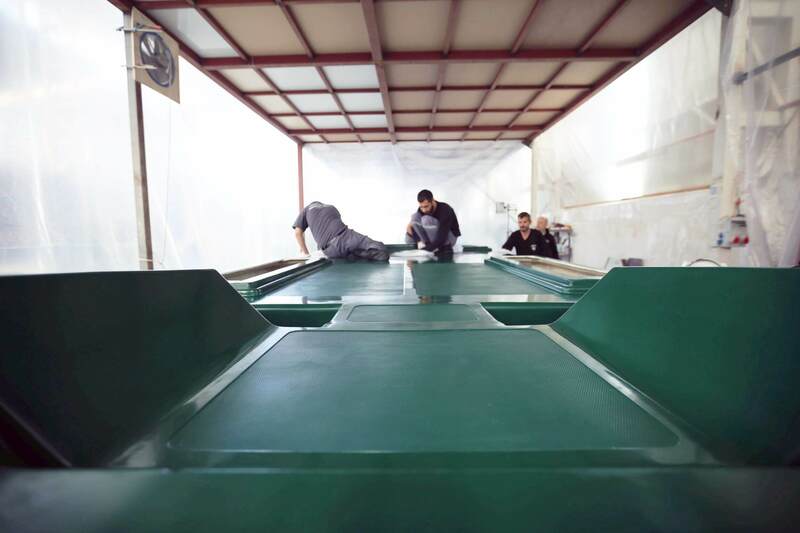 There is plenty of storage with port and starboard insulated fish boxes/storage along with an enclosed head. 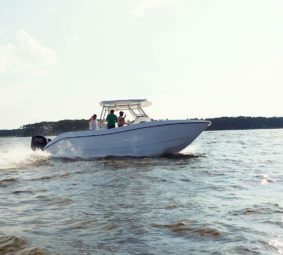 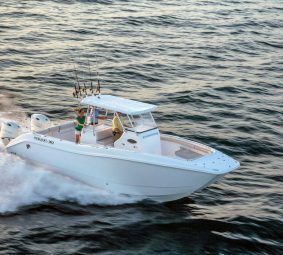 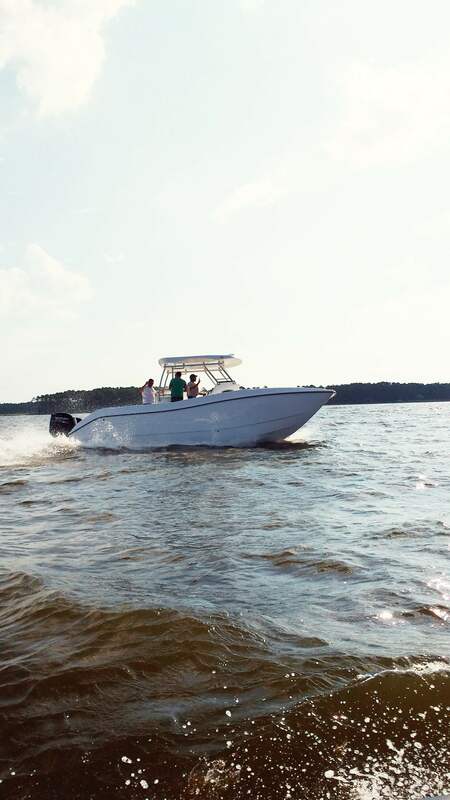 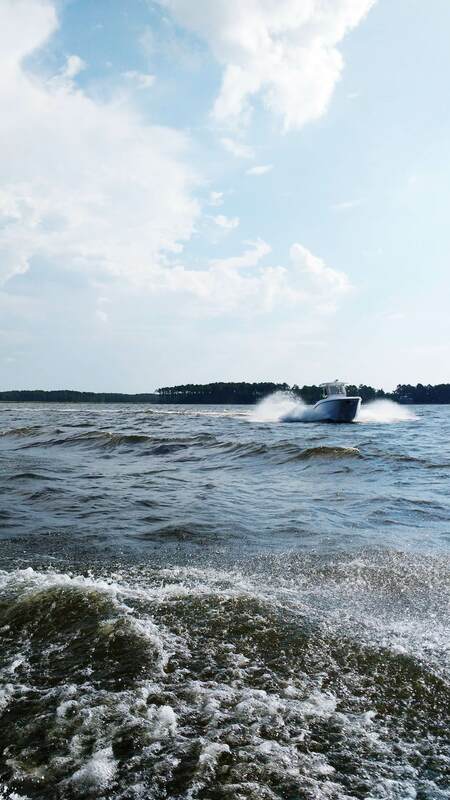 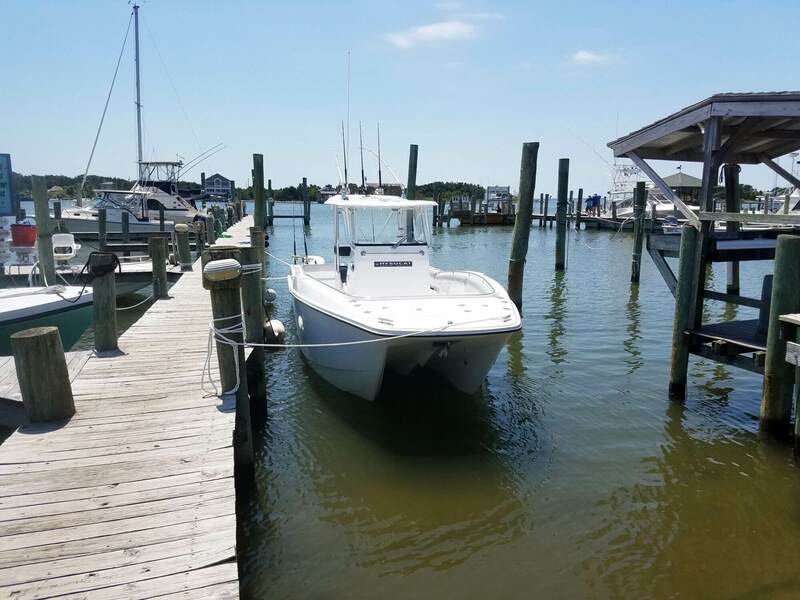 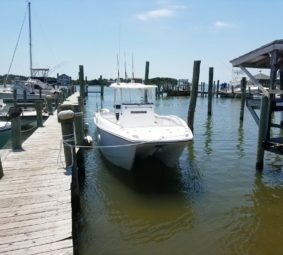 Boasting 264-gallon fuel capacity, this boat will get you to the farthest fishing grounds and back with speed and comfort.